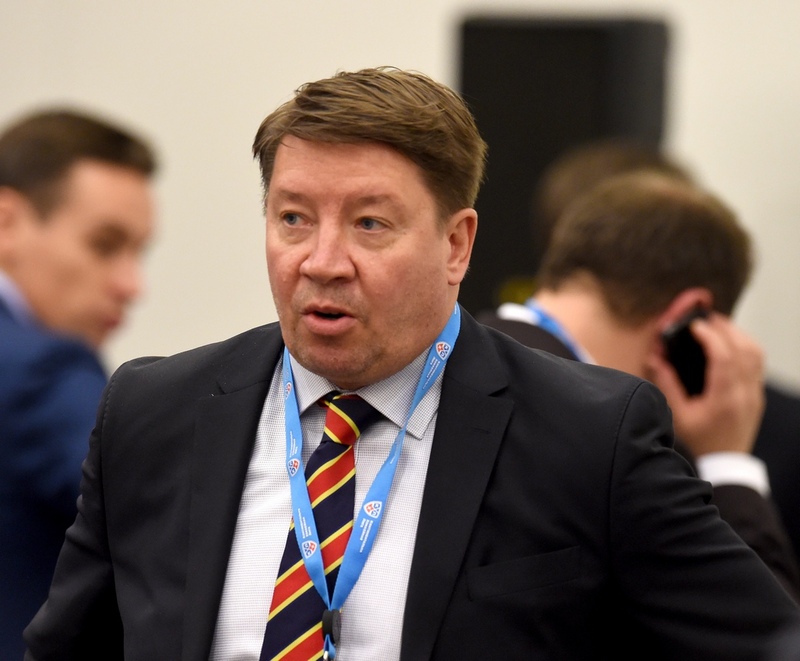 Jokerit General Manager and five-time Stanley Cup winner Jari Kurri spoke to KHL.ru, and gave his views on a difficult 2016-17 season for the team, on the future of Danish captain Peter Regin, on the team’s wild swings in form, and much more. 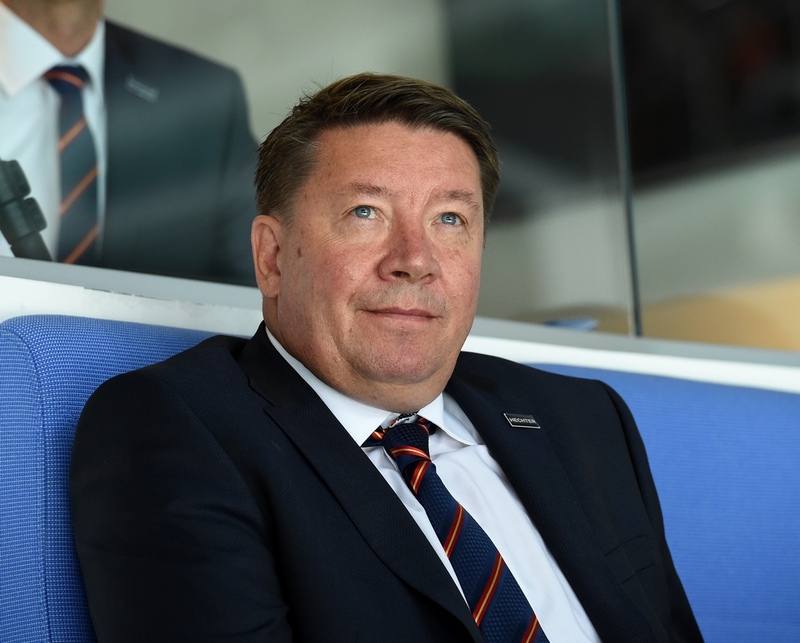 Jokerit General Manager Jari Kurri knows a fair bit about the game, with five Stanley Cups on his honors list, and he gave his unique insight on the 2016-17 Championship to KHL.ru. - Jokerit was far from consistent in the regular championship but still managed to qualify for the playoffs. How would you rate the team’s performance over the season? - The regular season was certainly a disappointment for us. Our form was extremely volatile, and this raised many questions among the fans. We played well against the top clubs in the KHL but we often struggled against teams who occupied lower positions in the overall standings. I want to state that the standard of hockey has risen during the three years we’ve been in the League, and there are no easy matches. We did make it to the playoffs, and that was the minimum expected from the team for the regular season. - Why did the team not finish higher in the Western Conference standings? - As I said, we were just inconsistent. We had some great games, but there were times when the standard of our play was not good enough. In this League, you have to be at the top of your game every night, and too often we were unable to do this. Jokerit lost a lot of points because of mistakes, and lost many games in overtime or in the shootout. We had far more bad matches than good ones, and we need to make sure our players produce hockey of the highest quality in every match. Jukka has been in hockey a long time, he is one of Finland’s finest coaches, and he knows the KHL very well. We have great faith in him and in the entire coaching staff. Jukka is a true professional who has coached top players and top teams for over 30 years. - What were the reasons for this lack of consistency? One day Jokerit would beat SKA, and then lose to Severstal, for example. - There was no single reason, although, as you know, SKA and the other top KHL clubs play as well in offense as in defense, and they focus on both areas, whereas teams like Severstal pay more attention to defending and goaltending. They sit back and wait for you to make a mistake, and then they punish you. There were a few games in which we failed to find the right approach when up against a defense-minded opponent. - Every match of your Conference quarter-final series against CSKA turned out to be a very tightly-fought affair, and yet Jokerit were swept 0-4. What were the reasons behind that? - CSKA is one of the best teams in Europe. The Army Men won the regular season three times in a row. Yes, our series was very even, and maybe if we’d had a little more luck, the result could’ve been very different. We didn't give CSKA any easy victories, and we managed to raise our game to a much higher level than we produced in the regular season. We were playing very good hockey, but the Army Men were better. - How do you rate the work of head coach Jukka Jalonen this season? - Jukka is a true professional who has coached top players and top teams for over 30 years. We began this season with a new coaching staff and 14 new players, and those are big changes for any club. The rookies and their mentors needed time to blend together, but the desire for success was there. Next season we’ll be starting from a much healthier position, as the players and coaches have grown accustomed to one another and there’s no need to spend any more time on that. It’s clear that our coaching staff needs to bring the best out of the players, to help them to progress and show their finest hockey. - Why did you decide to give Jalonen the opportunity to stay for another season? - Jukka has been in hockey a long time, he is one of Finland’s finest coaches, and he knows the KHL very well. We have great faith in him and in the entire coaching staff. - It recently emerged that coach Hannu Virta has left the club. What were the reasons behind his departure, and is this a huge loss for Jokerit? - Hannu has worked with Erkka Westerlund for many years, both at Jokerit and with the Finland national team. He saw what he believed was a good opportunity to coach abroad with Erkka. There was no drama surrounding his departure, and we will appoint a coach in to replace him during the spring. - What effect has Brandon Kozun’s departure had on the team? He was a leading player In the 2015-16 season. - Brandon had a good year with Jokerit and we were very pleased with his performances. In the end, he decided he wanted to continue his career elsewhere. When any player leaves, it is up to us to find a replacement. We must do better - of that I have no doubt. Every year we reach the playoffs, but only once have we progressed past the first round. We have to improve on that. Moreover, theclub’s budget will not change. - How would you assess your work in strengthening the roster before the season? Did all the players you brought in meet your expectations? There are always players in a team who are playing well but are still not showing what they're capable of doing, but that's fine. It happens in top-level hockey. We certainly expected more from some of our players, but I won’t name names. - The contract of one of your leading players, Peter Regin, has expired. Will he stay with the team and play for you next season? - Peter was our captain and we are pleased with how he performed on the ice and how he conducted himself off it. He is a top player and a true professional, so we are very happy that he will stay with us for at least 3 more years. - Who else has agreed to extend their contracts? - Jesse Joensuu extended his deal with Jokerit for three more seasons. Also, we are retaining the services of Marko Anttila and Pekka Jormakka. They’ve each signed two-year contracts. - How would you assess the performances of your goaltenders? Should the fans expect you to make new signings in this position? - We have two good goalies and both will be with us next season. - It was recently announced that Jokerit will continue to play in the KHL for at least another five years. What does this decision mean to you? - The main thing is that the new agreement kills off speculation about the future of the club. At last, we have put an end to rumors about where Jokerit will be playing. There were stories in the Finnish media claiming that our team might return to the domestic league, but now we can all move on. It is good for the club and for the fans. - What targets have been set for the team next season? - We must do better - of that I have no doubt. Every year we reach the playoffs, but only once have we progressed past the first round. We have to improve on that. Jokerit will be playing its 50th season, and Finland will be celebrating 100 years of independence. This is a very big year for our club, and we'll work as hard as we can to ensure more people come to the stadium and see that high-quality hockey you get in the KHL. - Will the financing of the club remain at the same level? - Yes, there will be no changes to the budget. - All the teams are now working hard to attract new players. 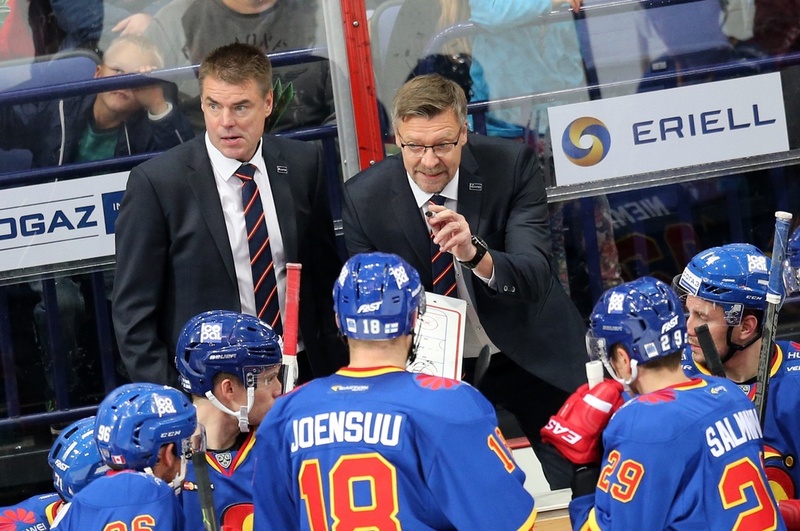 Which positions will Jokerit try to strengthen? - We have five places in our team that need to be filled. We'll add some defensemen and forwards, but as I already said, our goaltending brigade will remain unchanged. - The NHL recently released a statement in which they made it clear that NHL players will not be taking part in the 2018 Winter Olympics. Will this help Jokerit to tempt Finnish players away from the NHL? - We hope this will be the case and will have a positive outcome, but it is very difficult to predict what will happen in future talks, as the NHL only made this statement a few weeks ago. - You recently spoke about a collaboration with Kunlun Red Star. What form will that take? - China is a fledgling hockey market, and we can be of help to this country. For example, we know a lot about the development of players and coaches, infrastructure, and approaches to sales and marketing. We are prepared to share all our experience with Kunlun. China is now preparing for the 2022 Olympics and Kunlun has an important role in developing players and popularizing the sport throughout the country before such an important event – the Beijing Winter Olympics. For Jokerit and for our partners, this is a huge opportunity to expand our business into the Chinese market. - Next season, Jokerit will mark its 50th anniversary. Are you planning any events for the fans? 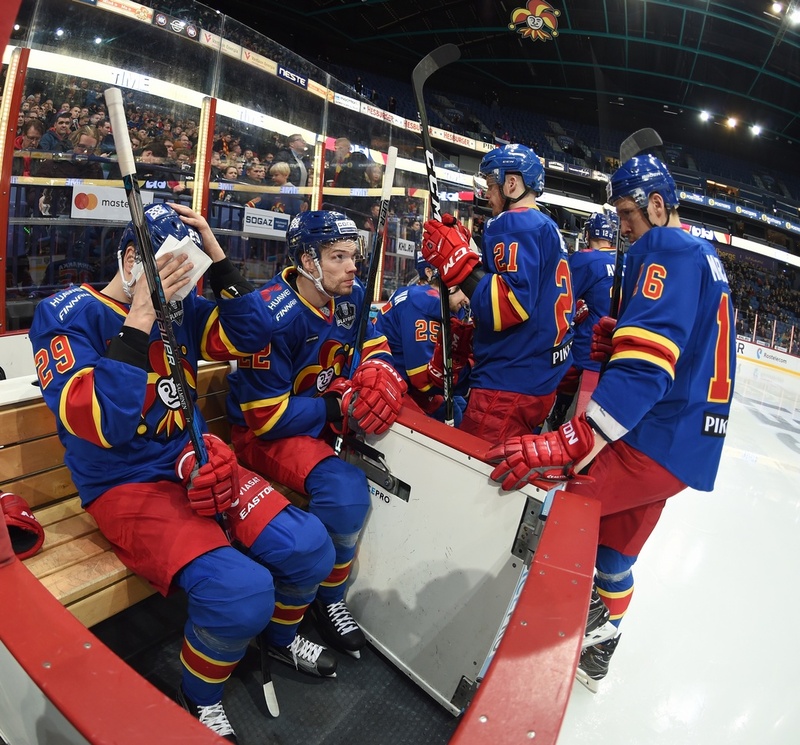 - Jokerit has an incredible history, at professional and at children’s level. It is important for us to celebrate the jubilee on the ice and off it, as we cherish our history. It will be a special year for us and our fans, and we have planned several events which we will announce over the spring and summer. Peter was our captain and we are pleased with how he performed on the ice and how he conducted himself off it. He is a top player and a true professional, so we are very happy that he will stay with us for at least 3 more years. - Jokerit’s home attendance figures were down this season. Why was that? - Yes, there was a slight decline, but we are still happy with the numbers that we saw overall. An average of 9,600 spectators is considered a success in Finland. I doubt you could find any other sport or pastime in Helsinki which could boast crowds as large as ours. - What plans do you have to increase attendances? - We have many things planned. 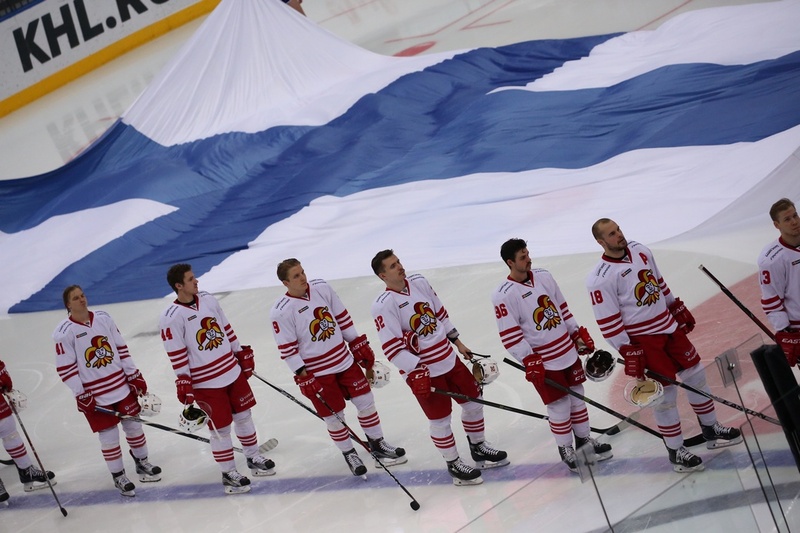 Jokerit will be playing its 50th season, and Finland will be celebrating 100 years of independence. This is a very big year for our club, and we'll work as hard as we can to ensure more people come to the stadium and see that high-quality hockey you get in the KHL. We will make it an even more enjoyable experience for people coming to see Jokerit’s matches, and of course, we will strive to achieve much better results.